Every traveler, not only participants of World Unite!, can deliver requested supplies for the project(s) on this page. You can either visit the project and deliver the requested supplies in person, or you can meet the World Unite! coordinator in town who is happy to deliver your supplies to the project. In both cases, please contact us by email (info@world-unite.de) at least 3 days in advance to arrange a visiting/meeting time and place. 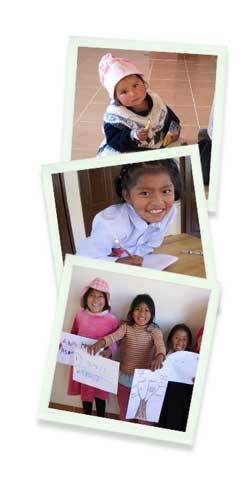 The social challenges in the Bolivian society complicate free and healthy development for children and young people. The measures implemented by the Fundación Yo Voy A Ti in Cochabamba, Bolivia serve the purpose of promoting children’s development. Fundación Yo Voy A Ti teaches English, runs a soccer project, and offers informal education and education for preschool children. Most of these children and young adults come from poor families.